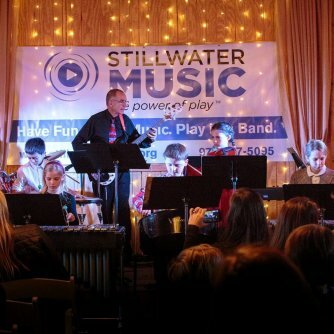 Going above and beyond, Stillwater Music has continuously worked toward reaching their mission of giving students the skills they need to play in a performing band. Each Stillwater Music band creates an environment that is safe and positive with the goal of including anyone from any background. Every student is matched with a band to match their skill level and push them to perform at their best. Talented professional musicians lead each band, share insights, and create a fun learning environment. Each band is given the opportunity to thrive by performing at local live events. If you are looking to pick up an instrument, get back into playing, or just looking join a band, Stillwater has you covered. Stillwater Music fosters the best possible opportunities for local youth and adults to engage in the process towards musical mastery. Their Early Childhood program is perfect for young children just starting school and immerses them in the basics of music and movement as a building block for Stillwater’s flagship Youth Program. The Youth Program pushes students to develop and advance their skills under the philosophy of “Play music, have fun, and perform live.” Meanwhile, the Adult Program features opportunities for those who either have some experience playing in group, are returning to an instrument, learning to play in a group, or looking to explore a new genre. Stillwater Music, formerly known as the Stillwater Foundation, has been providing the area with a way to engage in the musical arts for over a decade. Founders, Terri and Tony Gasaway, created Stillwater to be the home for the local youth and adults, regardless of disabilities or disadvantages, to participate in developing their skills in the arts. 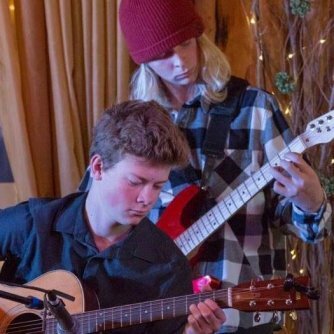 Stillwater operates on the belief that every child should engage in the musical arts to build character, develop discipline, build self-confidence and create lifelong teamwork skills. 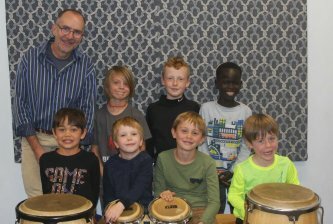 Through generous donations from Durango and the surrounding areas, Stillwater Music will push to educate generations to come.